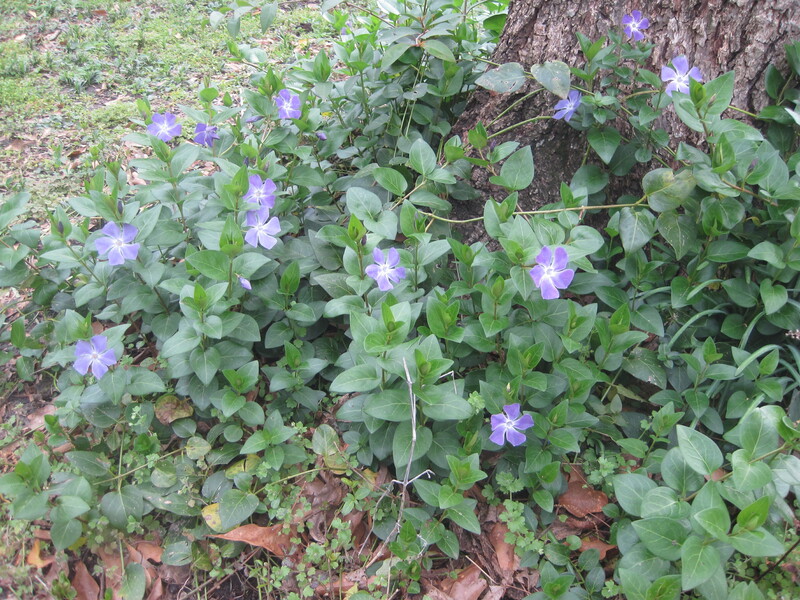 I have this ground cover all over my backyard, and no one I know can tell me what it’s called. Large portions of our backyard were covered in it when we moved in, and over several years I’ve slowly cut it back into manageable areas. 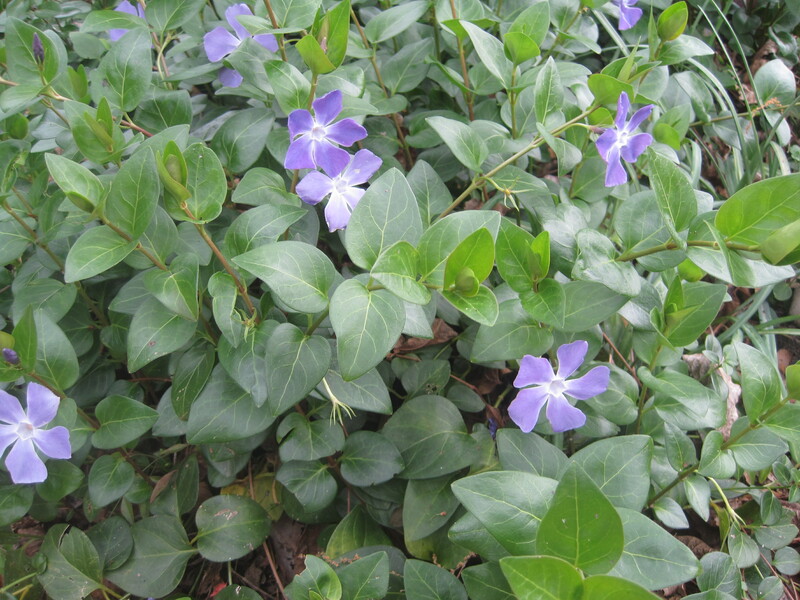 Whatever it is, it’s green all year, grows steadily all the time, lives well in shade, and blooms with these purple flowers in late winter each year. Sometimes it gets wilty in the summer when there’s no rain, but it bounces right back; it never goes completely dormant like wisteria. Anybody know what this plant called?